Classics programming is at the heart and soul of what symphonies do. From Mozart to Mahler, symphonies breathe new life into these impactful pieces, carrying on centuries-old traditions of music, culture, and innovation. 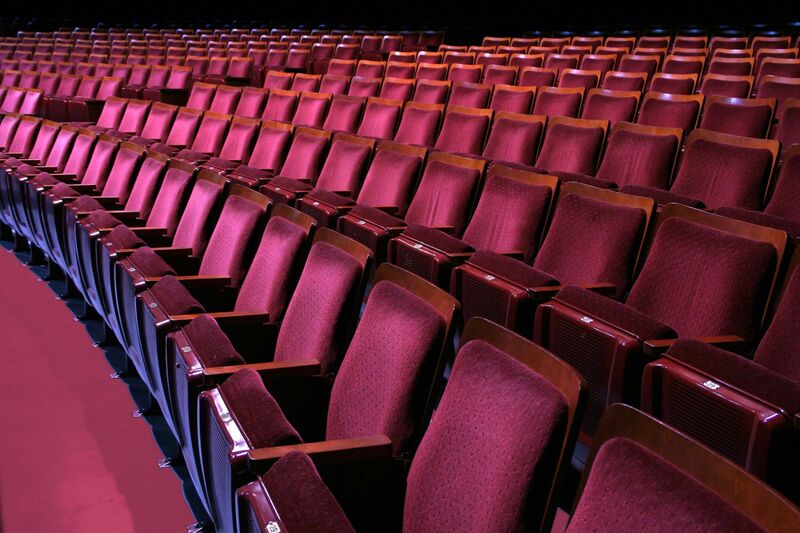 That said, many symphonies have been challenged with year-over-year declines in classics attendance. 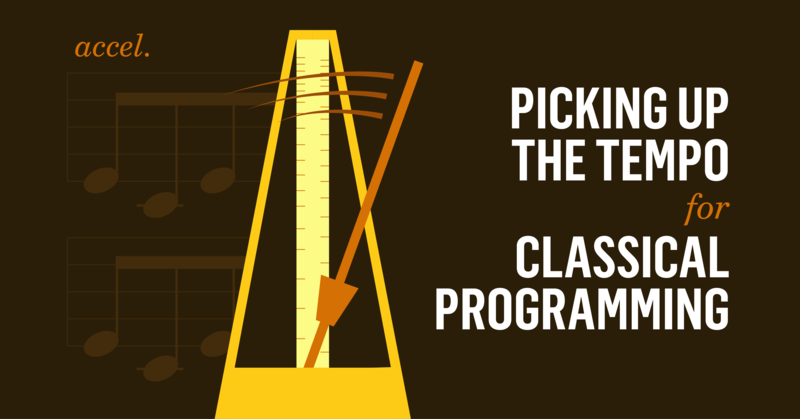 While classics programming is the “raison d’être” for most symphonic organizations, pops programming (think Harry Potter and the Goblet of Fire™ in Concert) has become more of a draw for newer audiences. Hi, CI! is our monthly series featuring the best team we know - the Capacity Interactive team! You will learn more about the people who help arts organizations market smarter. This month, we’re featuring one of our Senior Search Analysts who loves all things ballet and dance, has a newfound passion and talent for pottery, and brings her invaluable teaching skills to work every single day. Cut a print ad, create a video. Sound familiar? It’s not just a catch phrase we throw around - it’s critical for arts organizations to create compelling video content. In fact, 90% of customers report that product videos help them make purchasing decisions and 64% are more likely to buy a product online after watching a video about it. If you think about it, the arts are the envy of most industries when it comes to video content - we have an embarrassment of riches at our disposal. 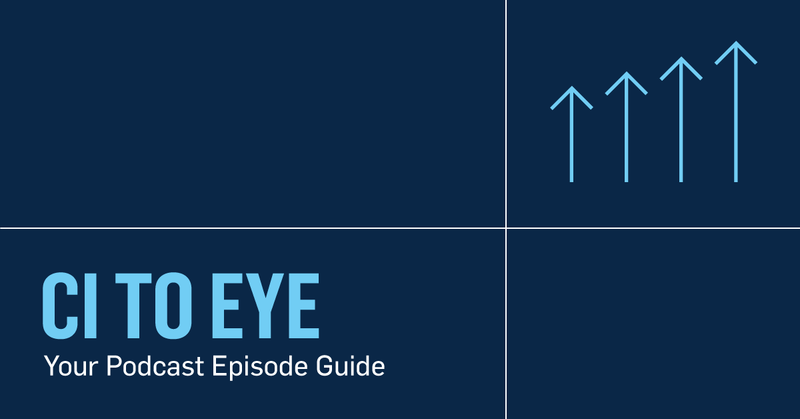 CI to Eye is a podcast for arts leaders who want to reach their full potential. Each episode is created to help you become better at your job so you can help the arts move forward. #%!$*!. All of your hard work, down the drain. What do you do now? Rebuild the post? Sue Facebook for censorship? Take a deep breath. Facebook’s ad review process has become stricter within the last year. You’re not alone. We have all been frustrated by how often gorgeous ads are not going live. 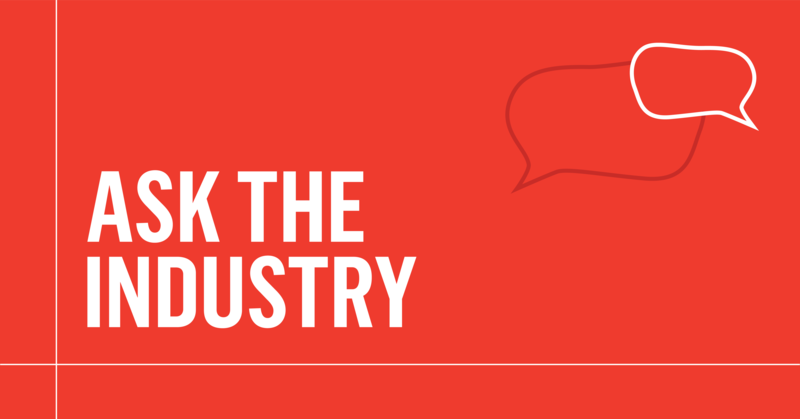 Ask the Industry features advice from arts marketers in their own words. We hope you that it will spark new ideas for your organization. Calvin Dotsey (Houston Symphony), Jeff Fickes (Seattle Shakespeare Company), and Krystina Tran (Stanford Live) discuss everything from how to feasibly create blog content on a regular basis, to the different types of audiences they write for, and the tools they use to keep everything in line. Instagram Stories can have a lasting impact, far past their 24-hour time limit. 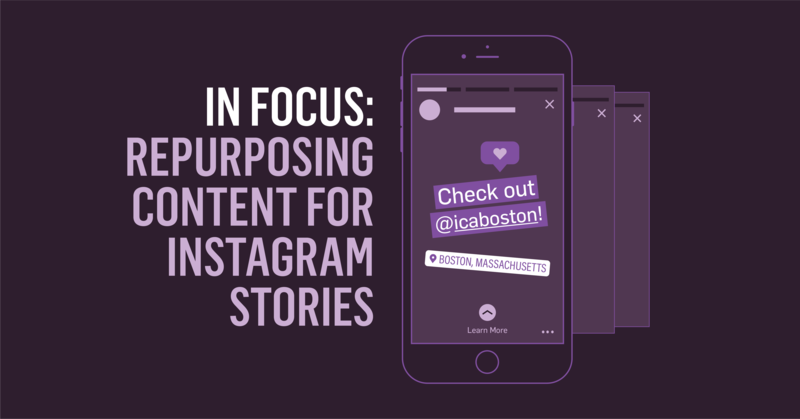 If your organization has been sleeping on them, consider this: of the 400 million accounts using Instagram Stories, one-third of the most viewed stories come from businesses, and one in five Stories gets a direct message from its viewers. Additionally, one in three people from a survey of 10,000 Instagram users said they’ve become more interested in a brand or product after seeing it in Instagram Stories. If you’re a marketer, you’re probably familiar with Google Analytics, one of the most powerful free tools out there for monitoring your website. Google Analytics (GA) allows us to measure the activity of our site visitors in real time, at a super granular level and can inform everything from landing page design to site structure. It’s one of the essential tools to have in our marketing tool belts. We love it and have talked about it at length here, here, and here. Now that all of the ballots from the 2018 midterms are finally (mostly) counted, the election season has come to an end (though the politicking never seems to stop). 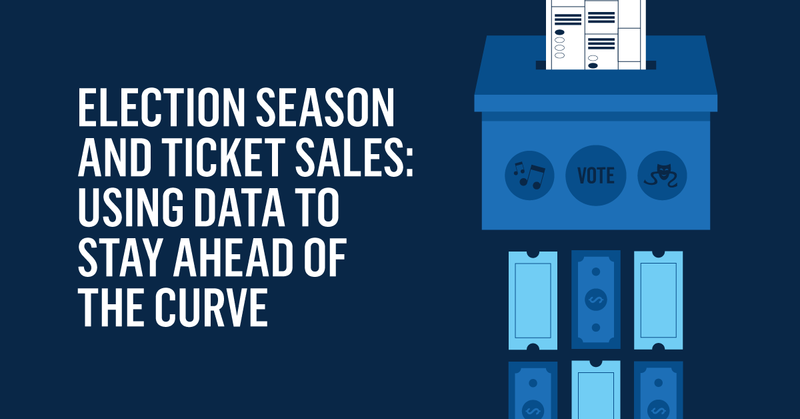 Many arts marketers feel the aftermath of an election season, and spend time trying to recover from a downturn in ticket sales. At University Musical Society (UMS), we call this the “election year phenomenon,” and it’s something we’ve been tracking for well over 20 years. The difference is that we’re using our data to do something about it. 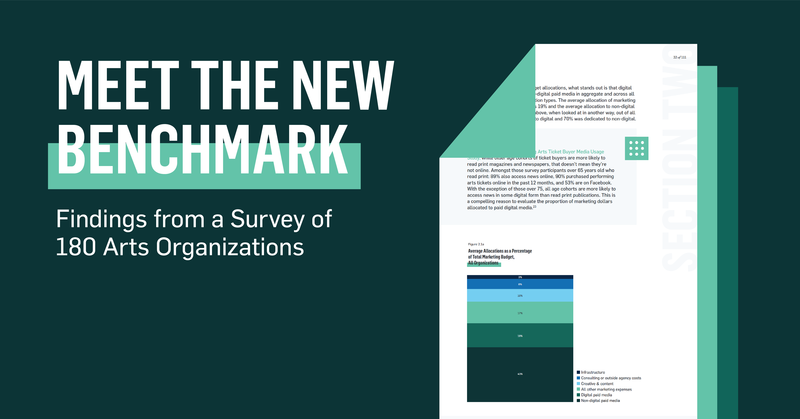 The Arts Industry Digital Marketing Benchmark Study is available for download and this sixth edition holds a ton of new data to help you market smarter. We rethought our approach to make sure we’re giving you the metrics and key performance indicators that can fuel conversation about growth and help you make informed decisions. It’s double the length of previous versions, since the data’s cut in a couple new ways. Here’s a guide to help you get the most out of it. Want to see how your organization stacks up with data from 180 arts and culture organizations? Download this free study and market smarter. Flex your digital marketing muscles at our two-day conference 100% focused on digital marketing for arts organizations. October 24-25, 2019 in NYC. Erik Gensler, the President of Capacity Interactive, speaks with thinkers and leaders inside and outside of the arts about leadership, marketing, organizational culture, and innovation.